PORTLAND -- Representatives from The Nature Conservancy, the Forest Society of Maine and the Plum Creek timber company came together Tuesday to celebrate a new conservation easement that's considered one of the largest ever in the United States. PORTLAND — Representatives from The Nature Conservancy, the Forest Society of Maine and the Plum Creek timber company came together Tuesday to celebrate a new conservation easement that’s considered one of the largest ever in the United States. The parties say the easement they negotiated on 363,000 acres in the Moosehead Lake region connects parcels to create one of the nation’s most extensive conserved working forests. It links a landscape of more than 2 million acres stretching from the St. John Valley to Moosehead Lake to Mount Katahdin, an expanse roughly the size of Yellowstone National Park. Beyond conservation, participants hope the deal will boost recreational tourism and lift the struggling economy around Greenville. They say businesses can promote the area with an assurance that land will remain open to the public, to accommodate the long tradition of recreation and sustainable forestry in the Maine woods. Tuesday’s event also helped mark the end of a long battle for Plum Creek, the Seattle-based timber company that owns and manages 883,000 acres in the Moosehead Lake region. 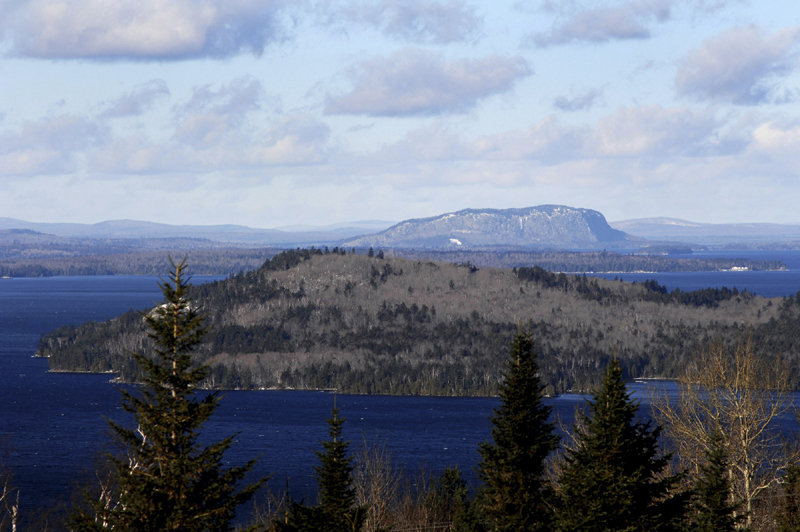 It first introduced a Moosehead Lake conservation and development plan in 2004. More than two years ago, Plum Creek won state approval for a concept plan to rezone more than 400,000 acres as part of the largest single development in Maine history. The plan rezones 16,900 acres for development, including 821 residential units and two resorts — a 1,852-acre resort at Lily Bay with 404 units and a 4,200-acre resort at Big Moose Mountain with 800 units. The units are expected to be built over 30 years. Plum Creek’s development ideas were opposed by the Natural Resources Council of Maine, the Forest Ecology Network and RESTORE: The North Woods. The groups fought it all the way to the Maine Supreme Judicial Court, which ruled in March that state regulators followed proper procedures in approving the plan. Opponents continued to be critical as they reacted to Tuesday’s news. St. Pierre’s group continues to push for protecting the land within a Maine Woods National Park. The Natural Resources Council of Maine said it remains concerned about the size and location of Plum Creek’s development, particularly on the Lily Bay section of Moosehead Lake. The group’s future involvement may hinge on whether the company seeks permits to build near Greenville, which is already developed, or on Lily Bay. “If and when that time comes, we may choose to be involved in the permitting phase to help protect the lands, water and wildlife in the Moosehead region,” said Lisa Pohlmann, the group’s executive director. 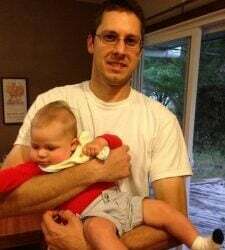 With the housing market flat, residents and visitors won’t see any activity for years, said Luke Muzzy, the former Greenville real estate agent who is Plum Creek’s senior land asset manager. In Greenville, a real estate broker said he thinks current land values will make it difficult for Plum Creek, or any large developer, to recover the cost of putting in roads and utilities. Rodney Folsom, co-owner of Folsom Realty Group, said real estate values in the area have fallen to levels last seen in 2002. Several lakefront lots that were selling for $200,000 in 2007 were sold recently for $65,000, he said. Promoting the conservation easement can help the Greenville area recover from the recession, said John Simko, who was town manager when the concept plan was hammered out. Greenville’s economy has long relied on forest products and tourism. Both sectors suffered during the economic downturn, pushing the jobless rate in Piscataquis County over 11 percent — well above the statewide average of 7.2 percent. With the land base secure for recreational access, businesses can do more to publicize the availability of the area’s resources, Simko said. The 363,000-acre easement will be held by the Forest Society of Maine. It allows forestry that meets the standards of the Sustainable Forestry Initiative and other conservation guidelines. The terms of the easement guarantee public access for traditional recreational uses, including hunting, fishing, camping at designated sites, canoeing and cross-country skiing. The easement also protects access to 160 miles of trails that are used by hikers and snowmobilers. The easement conserves habitat for dozens of protected fish and wildlife species, as well as 30 sites that have been identified as habitat for rare and endangered plants. The conserved area includes 200 miles of lakeshore, and lands near Moosehead – Maine’s largest lake and the second-largest in New England – and 68 other lakes and ponds. The easement provides a bridge between existing conservation lands in the region, including 44,000 acres that have recently been protected. They include 15,000 acres that The Nature Conservancy and the state have purchased, known as the Moose River Reserve. The reserve includes portions of Number 5 Bog and lands that provide access to the famous Moose River Bow Trip paddling route. More than 29,500 acres, including more than 10 remote ponds near the Appalachian Trail’s 100-Mile Wilderness, has been conserved by the Appalachian Mountain Club.